I’d love to love Insane Clown Posse, if only because of my new-found respect for their song subject matter, and in fact, their general sensibility. There are plenty of ICP songs about mystical carnival stuff. Violent J and Shaggy 2 Dope also have songs with subjects that run the gamut from Charles Whitman in the University of Texas tower, to critiques of prosperity doctrine preachers, to killing rednecks, to the everyday magic of everyday life. They’re guileless, but profane. They’re morbid-minded, but full of simple joy about basic things. All of that is a little bit…me. Even if I grew up nice and middle middle class, not bottom of the heap and fighting for self-respect like those two. But it isn’t just their greasepaint clown garbe, their throwing cheap soda around, or their over-dependence on A-A-A-A rhymes. ICP also has a ridiculous, borderline spiritual mythology. First it was the dark carnival, and the Joker’s Cards albums that stressed the murderous stuff. Then the album containing the legendarily-mocked “Miracles” came out in 2010. Another song off that album was about the end of the world. “It’s All Over” it has some of the usual ICP awkwardness (and Shaddy 2 Dope’s aggressive A-A-A-A breakdown is so unnecessary), but there’s something else going on that has captivated me. In one of the tear-inducing pieces on Rogert Ebert a year or two before he died, he had a line, “I was perfectly happy before I was born.” That is to say, old Ebert didn’t fear death. Neither does ICP, it seems. The band is Christian — a supposed twist, that most ardent fans say that everyone should have seen coming — and this casualness towards the end of things could be seen as a Christian confidence in being saved. But it doesn’t come off that way, even if Shaggy introduces things with an evil revival preacher voices. The perspective, still, it comes off more human than religious. More “Can the Circle be Unbroken” than God is Not Dead because the band is accepting the end, but not spitting all over feelings and life the way that hideous movie does. Like even the best ICP songs, this one is a big mess. But it sounds like the mess that these two guys are — it is them, not something made in a hitmaker’s factory. 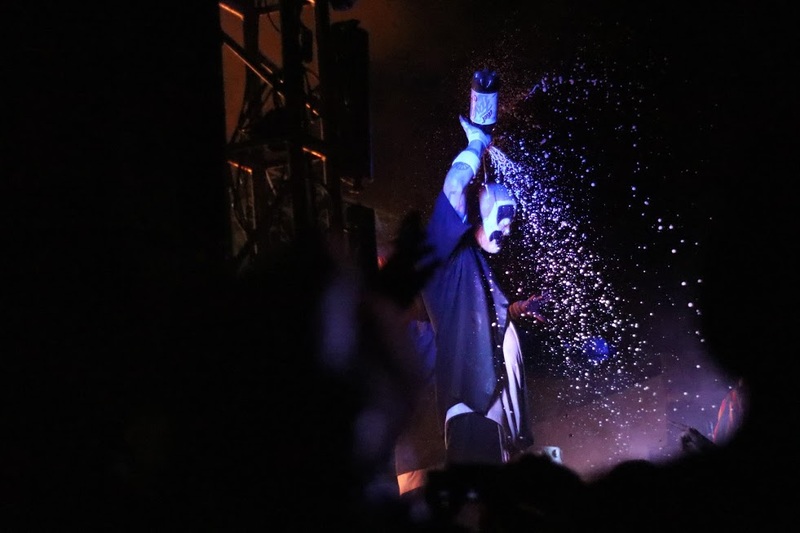 The realness of ICP, even after notoriety and the mantle of “worst band of all time” is obvious after a day of research, and a day spent with the most passionate Juggalos congregated in DC. For a lot of Juggalos, it’s about the scene and the acceptance perhaps more than the music. But there are moments in the music, too. This is a very strange song about death, and the death of everything and everyone, and of all things, it’s kind of comforting and optimistic. People are losing their minds and screaming, and Shaggy and J are just walking and listening to music on their headphones. It’s got the commendable swagger of Benjamin Guggenheim saying “we are dressed in our best, and prepared to go down as gentlemen” as the Titanic listed and sank. Plus, I really like the moment when Shaggy sits on a park bench and checks out the one woman who seems more upset about the end of the world thing, but then kind of exasperated about being checked out. I am still not sure what’s happening there, but it’s hilarious. Update: for me on ICP, check out my Spiked Online piece on the Juggalo March on Washington.